Mormon Church threatens activists with excommunication. Jewish kids misled into participating in music video for Israeli transsexual star Dana International shot in synagogue, parents say. 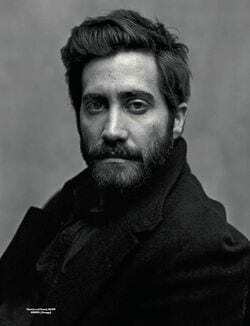 Jake Gyllenhaal to make Broadway debut…"in British playwright Nick Payne's acclaimed experimental drama Constellations, which explores the potential of love, friendship and free will against a background of quantum physics." Lana Del Rey: "I wish I was dead already". Adam Lambert teams up with AT&T for 'Live Proud' campaign. U.S. Senator Thad Cochran causes stir with remarks about doing indecent things with animals: "Cochran in his speech opening was telling of his family connections to the Pine Belt area, where as a child he would often visit his grandmother in the country. He joked about 'doing all sorts of indecent things with animals' as a kid. The audience appeared to take it as intended — a joke, apparently about harassing wildlife or livestock." VIDEO: J Lo and Pitbull open the World Cup. Pope holds private Mass with head of French anti-gay group Manif Pour Tous. State LGBT groups split on ENDA's religious exemption: "A number of statewide LGBT groups this week expressed concerns about the religious exemption in the Employment Non-Discrimination Act. Four groups — FreedomOhio, Equality New Mexico, the Transgender Education Network of Texas and Wyoming Equality — now say they won’t support the bill with the current exemption." Smart cup knows what you're drinking. Trans Latina teenager being held in solitary confinement in women's prison in Connecticut: "I have been sitting in this prison for a month now and there is no plan to get me out. I am suffering in here. I'm having trouble sleeping and I'm not eating much. I cry in bed every night. I can't be myself in this place. I feel forgotten and thrown away… DCF is supposed to be helping me, right? If this is helping me then I'm all set with being helped. I would be a lot better off being on my own. It seems like you're my last chance to get out of here. Don't forget about me. I can't take another month of this." Magic Mike XXL is still waiting on Alex Pettyfer. Harrison Ford injured on set of Star Wars: Episode VII. 80,000 hit the streets for Israeli Pride in Tel Aviv. 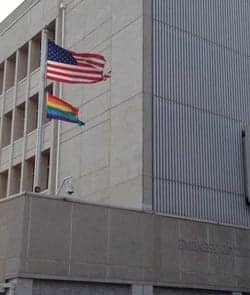 "Tel Aviv's openness to gays stands in contrast to conservative Jerusalem, just a short drive away, home to some of the holiest sites to Judaism, Christianity and Islam. Still, Jerusalem has a small gay scene and an annual pride parade, albeit on a much smaller scale." Gay former BP CEO John Browne says 'glass closet' still holds many gay workers back: "If you look at the S&P 500, there isn't one out gay CEO. So, it is a clubby experience. I mean, I think many people have an unconscious bias, they do tend to select people like themselves, and so therefore they [exclude] people who are a bit different. … Hiding sexuality is something which takes away from the overall productivity, the way in which people work, and it's bound to do something which is not good for business."